soybean market because of the knowledge gained through our history in the food grade corn and soybean seed businesses. The crossover of technique between food grade corn and soybeans allowed us to use the same time-tested processes and apply them to soybeans. Just as with our soybean seed, identity preservation remains a crucial focal point of the business. Our proven methods of thorough clean outs and detail-oriented conditioning set us apart from other farmers and businesses. 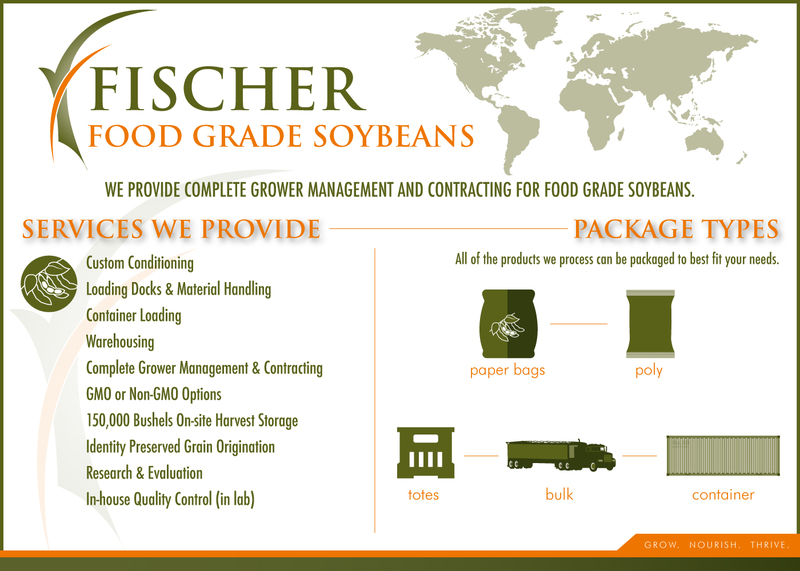 Our food grade soybeans are processed in a separate facility than our soybean seed.